This week I've been getting a tonne of Cosplay email requests saying "Dan, where's the wimmenz at?" Okay, so by tonne I mean one, and I sent it to myself, but as long as it comes into your inbox as 'new' it still counts. Always one who bends to peer pressure (especially his own), this week's cosplay is all about the female form. Hands up if your favourite character is Jocasta! (Tumbleweed blows through the silent audience, except in reverse world where it's 'reach for the sky' city). Not only is it amazing to see that the 'Bride of Ultron' has Cosplaying fans too - the level of devotion this costume shows is through the roof! Speaking of through the roof and other breaking and entering analogies, this Kitty Pryde cosplayer found on Tumblr, gets an extra thumbs up for including her very own pet dragon, Lockheed. It's probably telling her all kinds of secrets too. Just look at them. I tell you, you can't trust dragons period. Or people that smell like cabbage. Proving she's no wilting green, DC's Stargirl has an all-new audience saluting the red, white and blue. Found on the JSA forum, this cosplayer stands strong in her legacy, with a King Kong sized Star Rod to boot! Last week's Teams Cosplay Spotlight missed out one of my favourite gangs of all - The Avengers West Coast - I just can't find a cosplay of the gang whose roll call I like (I know, I'm fussy, but I can handle). 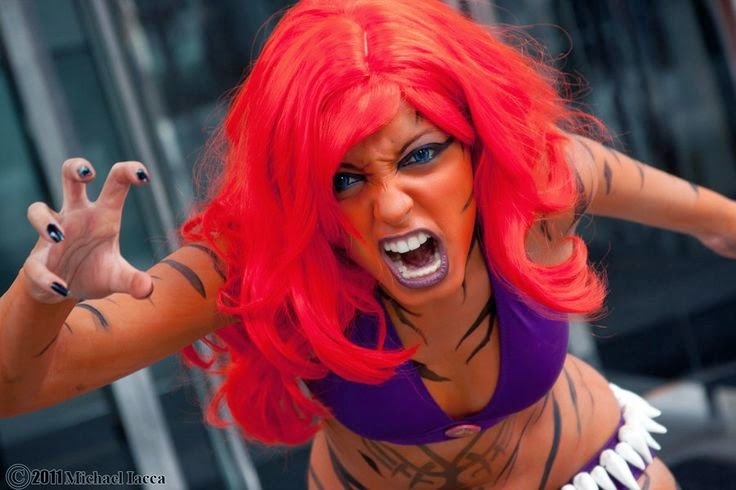 One lass who was a Westie, but needs no team beside her to look awesome, is comics ultimate cat-woman, Tigra. Captured by photographer Michael Iacca, even an Avengers West movie would be hard pressed to top this. "Hands up if your favorite character is Jocasta..." HA! -I sat on my hands. Kitty Pryde wins, Sir. 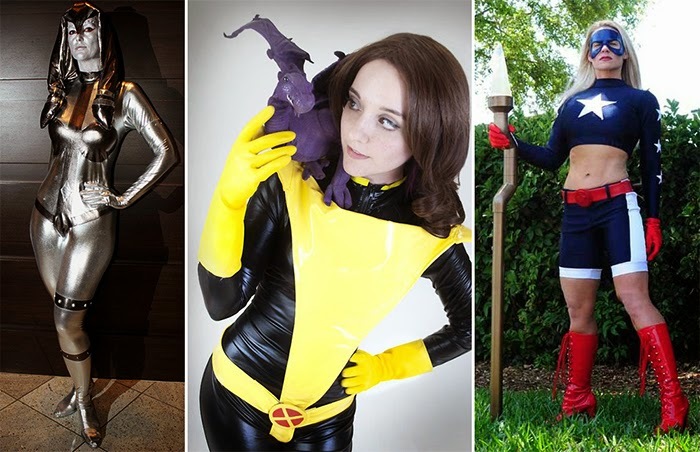 ANY cosplay of everybody's girlfriend wins the day, and any Kitty cosplay WITH Lockheed; doubly so!!! Jocasta and Tigra are to me my faves here, but that's because im stuck permanently in the 70s when I first encountered these ladies. vAny cosplay here involving these two is alright by me.